The WordPress Daily Post Prompt, ‘Shelf,’ was a perfect fit today for Throwback Thursday. 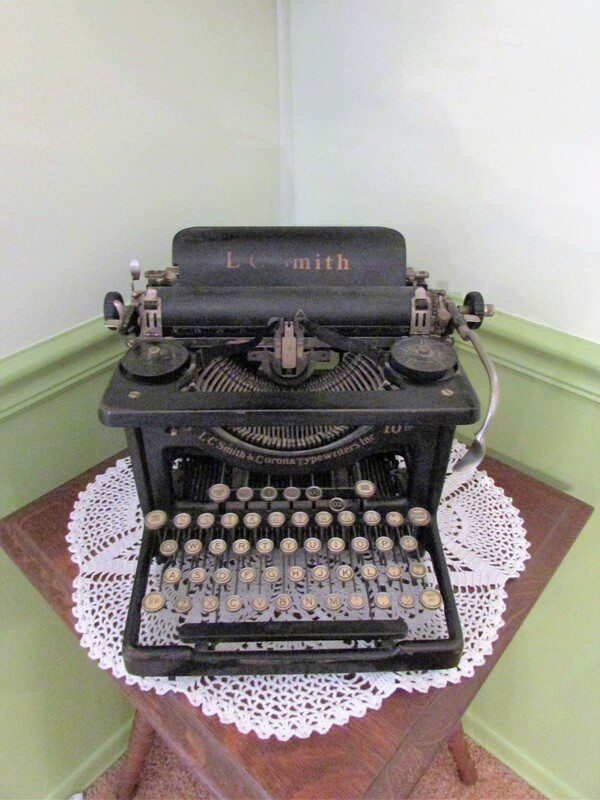 Probably few remember this early edition of the LC Smith & Corona Typewriter. Planning out this post brought back many reminders of my years of typing. What I miss is the sound of the old manual typewriters. I had forgotten that they ‘ding’ when you begin to reach the outer margins, a warning that you must begin a new sentence or hyphenate a word. For those of you who have never used a manual typewriter, the previous sentence probably sounds like a bit of gobbledy-gook. In that case, who best to demonstrate an old manual typewriter than the inimitable Jerry Lewis. 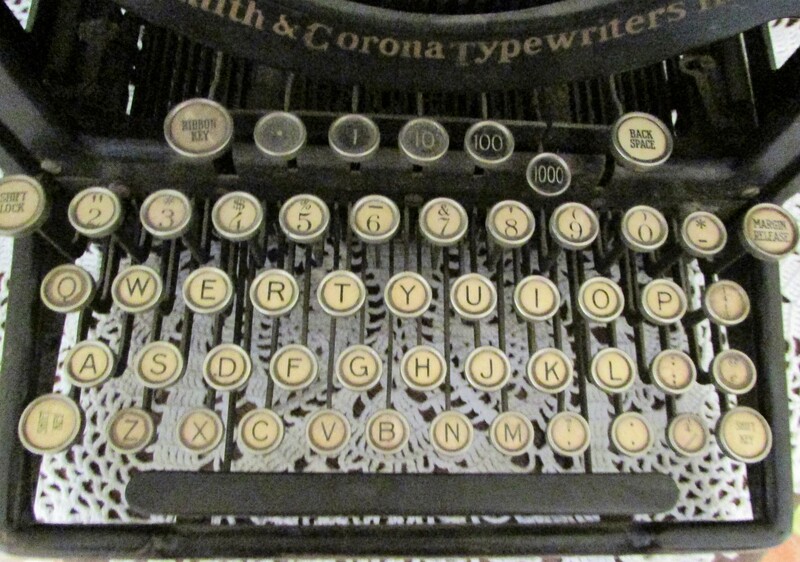 This typewriter was part of the family hardware store business for decades. Many a store invoice was typed out with its keys. When I researched the model the date it seemed to match best was 1927. 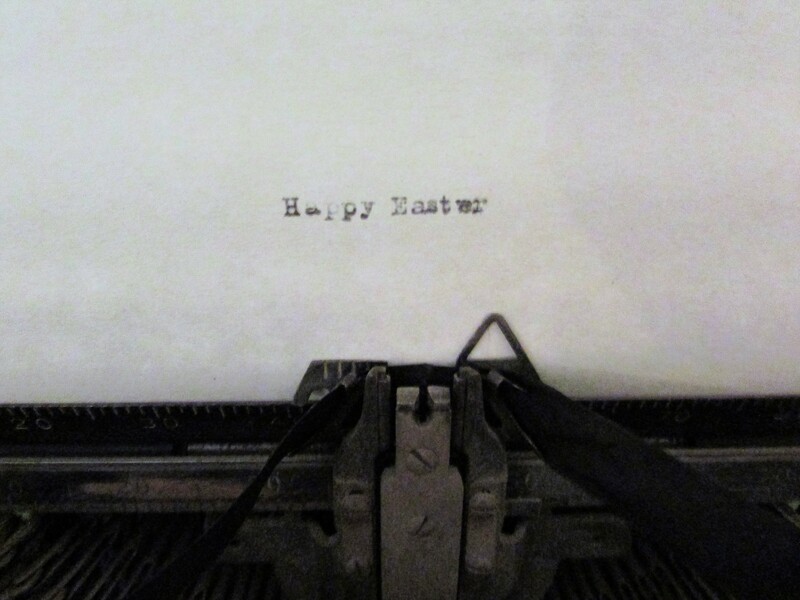 The typewriter sat in our basement for years. Recently, while cleaning off shelves I came upon it and decided it was too unique to languish for more years in the dark and brought it upstairs. It can still type out letters and words, with a little help in moving the carriage, and I was able to type out a holiday greeting on parchment. Oh my gosh, what a find for you! I’m surprised the ink ribbon isn’t dried up and too brittle to print! Good for you for typing on it! It’s been in my husbands family for many generations. I can’t believe the ribbons works either, although I do have to advance it myself. I guess the cool climate of the basement and being wound tight for years kept it working. We will for sure…I want my grandchildren to be able to touch the same keys their great-great-grandparents touched. I can’t help myself. I always swoon a bit when I see an old manual typewriter. I started off in high school with an old electric version, but found a manual typewriter at a pawn shop and fell in love with it. Sure wish I still had it around to keep me company. Great photos, and it really is cool that you have some history with it as well. Nice! I hadn’t realized how much I loved the sound of a manual typewriter until I played around a bit with this one. Times are changing so fast…I definitely am becoming a dinosaur. Kathy, so many memories. There is a suitcase typewriter in my grandfather’s attic too. I learnt typing in 1993 on a typewriter. It was so difficult. The papers full of repeated asdf- s and qwertys. 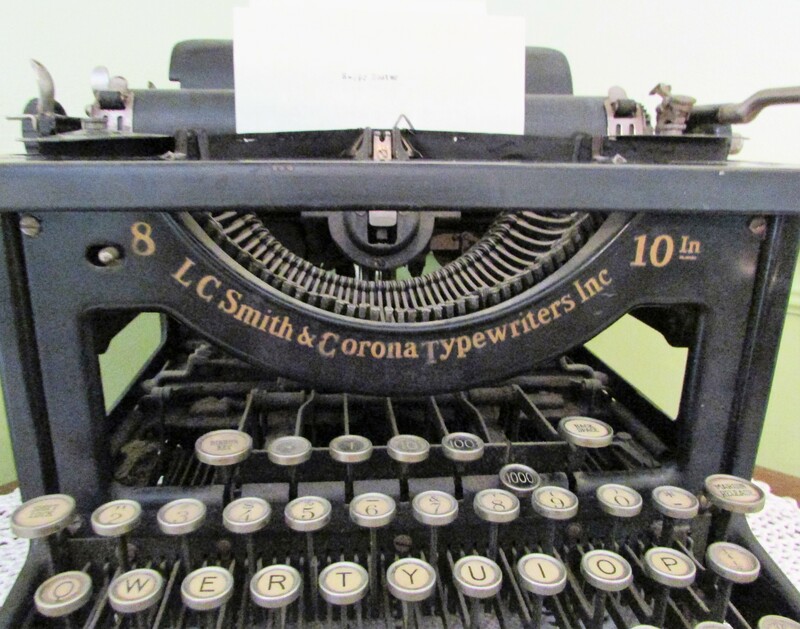 My husband insisted that I learn typewriting soon after I got married. I remember my parents being upset about it because they felt as a doctor, I did not need to learn typing. I learnt for three weeks. These days I can type the fastest among any of my office colleagues, thanks to those classes. I often tell my mother that I would not have been successful as a Research administrator, had I not learnt typing on a typewriter. I am so glad you brought it up from your attic. Do look around for an old sewing machine too and if possible, an old bicycle. I so agree, Kathy. Who knew ?